This is my fallback toner as I keep coming back to it. It really does everything it says, but I find that if I use it twice daily, as recommended, by the time I've gone through half the bottle, my combo/oily skin gets to feeling tight and dehydrated, and can start to look papery. I have to switch to a milder toner (like Kiehl's Calendula) for about a week then switch back. Also, I find the scent rather overwhelming and wish it could be toned down or even eliminated. Hence, I've taken away a star. But, having said that, it delivers on its promise, so I will definitely keep this in my routine. On a sidenote, Lookfantastic offers great prices, but this is my first order and it arrived on 19 Jan instead of the estimated 3-10 Jan, so it was quite an anxious wait, for me. This is one of my favourite toners to use but I would recommend using a different toner if your skin is sensitive. Third time buying from Lookfantastics with coupon code. 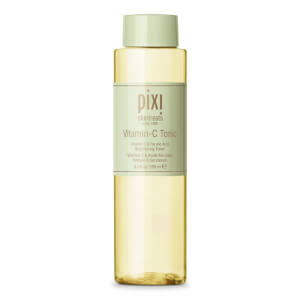 Amazing product, my skin grows radiant after using this toner. Just cannot leave without it. The toner really helps me to refresh the skin after cleaning. I feel like my skin look lighter and healthier after using this. I really like this stuff!! I use this as my daytime exfoliator and Paula's choice bha liquid as a night time exfoliator, and this combo seems to work nice for my skin. It has a strong scent to it which I don't like. But it feels gentle on skin and is quite affordable so I can't complain too much. 2 weeks in and loving it. 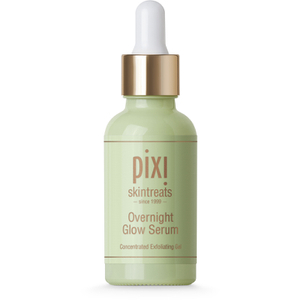 I've been using my Pixi glow tonic for about 2 weeks (am & pm) and I really like it. I love the fact that there is no alcohol in it, and still gives me that oil -free feel. There's even a mild exfoliating in this tonic which gives your that "prickle" when you leave it to dry it. All natural products and makes my skin feel refreshed. I love this so much more than I expected! 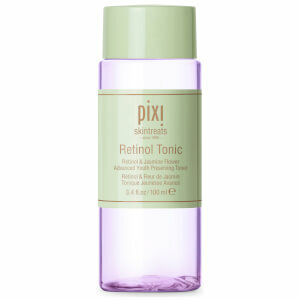 I've use acid toners before, Clarins and other brands whose names do not spring to mind just this second, and while I've seen good results, this one has been by far the most remarkable. I've been using it morning and night for about 10 days, and my skin has improved markedly in texture and clarity. I'm so smoothly reflective in the face right now that I think I might actually try to reduce use to once a day... (Not in a burned looking way mind, just as if the cheekbones have gotten a good polish). Little bumps I've had on cheeks and forehead seem to be disappearing, though they haven't entirely yet. It smells quite strange, but frankly who cares. It is GOOD.